SPECIAL DESIGN.No need to worry about if fits or not, Fit waist size from 26 Inches/68cm to 36Inches/92cm ,very comfortable and light. Easily to wear. There is a kettle pocket. WATERPROOF. Made of high-quality waterproof material with a specially shaped zipper to keep your items dry in almost any weather conditions. BIG CAPACITY. 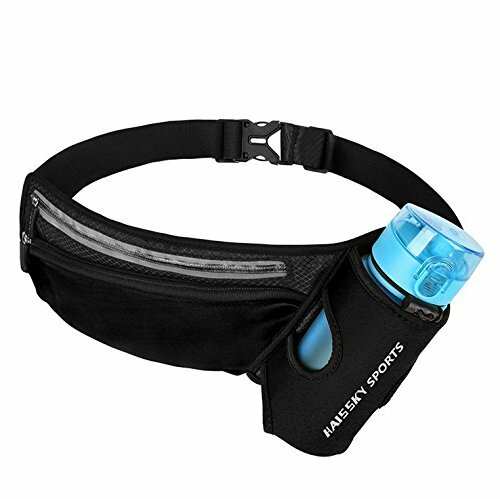 The pack of this Running Belt is big enough to carry almost all sizes of smartphones in market, keys, cash, ID, Credit Cards and other essential items when you hang out and in exercises. The earphone can be used at the same time. HANDS FREE RUNNING.carrying space while eliminating movement of the pouch during running, hiking, jogging, marathons, triathlons, 5K and 10K road races, camping, gym, fitness, yoga, barre, CrossFit, hunting, fishing, walking, cycling, working out, travel or any activity where you need to keep your hands free. HAVE MORE FUN DURING YOUR ACTIVITIES with THE BEST running waist pack you can find OR YOUR MONEY BACK! If for some reason this fitness belt isn't all that you expected, contact us for a full refund. If you have any questions about this product by Myang, contact us by completing and submitting the form below. If you are looking for a specif part number, please include it with your message.